Opening today, the Zabludowicz Collection is dedicating an exhibition to artists who have questioned differences between past and present, the factual and the fictional through the eyes of the lens. The aptly titled You Are Looking at Something That Never Occurred uses the Collection’s personal archive, with Wolfgang Tillmans, Jeff Wall and Lucas Blalock, amongst others, coming together to resurrect the 40-year body of work that has successfully challenged us and the world we live in. Speaking to the curator, Paul Luckraft, he mentions “This show came out of our desire to look back at the richness in the collection of photography” – a richness which is undeniably apparent in the gallery space. 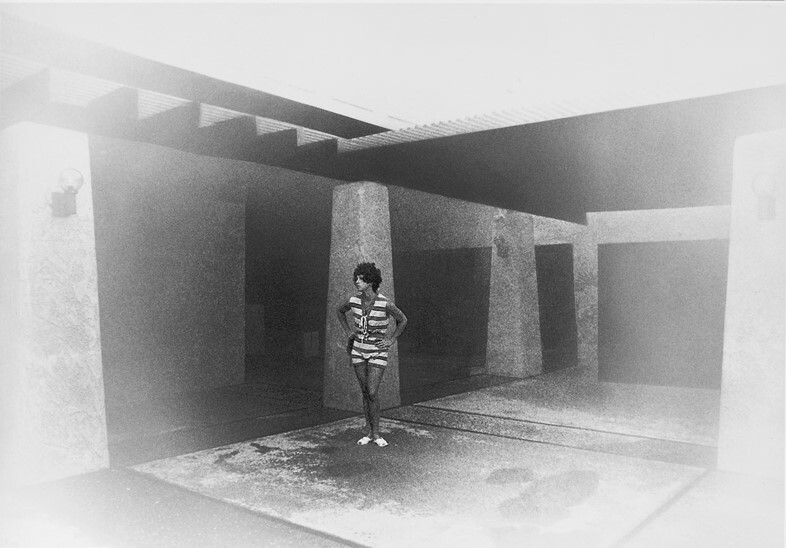 Initially being met with Cindy Sherman’s “Untitled Film Still #41”, the exhibition highlights key photographers cleverly connected in their mediums – however, upon closer analysis, it becomes evident each artist has an extremely distinct approach to the lens-based medium. While some imagery is a testimony to the artist’s skill, there are pieces which, instead, reflect an imperative time in history. Exemplifying this is Thomas Ruff’s addressing of the tragic 9/11 attack in “.jpeg ny15”, as it’s cleverly placed by his equally emotive Stoya portrait series. Crisp, clear and clean in its presentation, the portraits (showing sombre-looking male and female subjects) heavily narrate the emotional connotations associated with Tuff’s commemorative work. Open until 9th July, use this chance to immerse yourself in the extensive variety of photography captured over four decades. With the medium taking over our lives in more ways than we perhaps realise, You Are Looking at Something That Never Occurred does a great job in highlighting relevant aspects of both the past and the present day. Below, we speak to the curator to find out more. Where did the idea for the exhibition stem from? Paul Luckraft: This show came out of our desire to look back at the richness in the collection of photography – looking at the period from the late-1970s through to the present day. The Collection started acquiring works in the mid-1990s and at the point, photography was very key in allowing a way into contemporary art – it was an exciting moment when photography became very present in gallery spaces. Artists like Wolfgang Tillmans, through to artists like Jeff Wall, Thomas Ruff and Andreas Gursky who were really pioneering and pushing photography to be on par with painting and sculpture. We're being honest about the diverse tools of photography artists have used in the last 40 years, but also showing the different sets of influences which diverge between artists. (For example), the title of the show You Are Looking at Something That Never Occurred comes out of a conversation between Jeff Wall and Lucas Blalock – that was one of the key starting points. Jeff Wall, Still Creek, Vancouver, Winter, 2003, transparency in lightboxYou Are Looking at Something That Never Occurred, 2017. 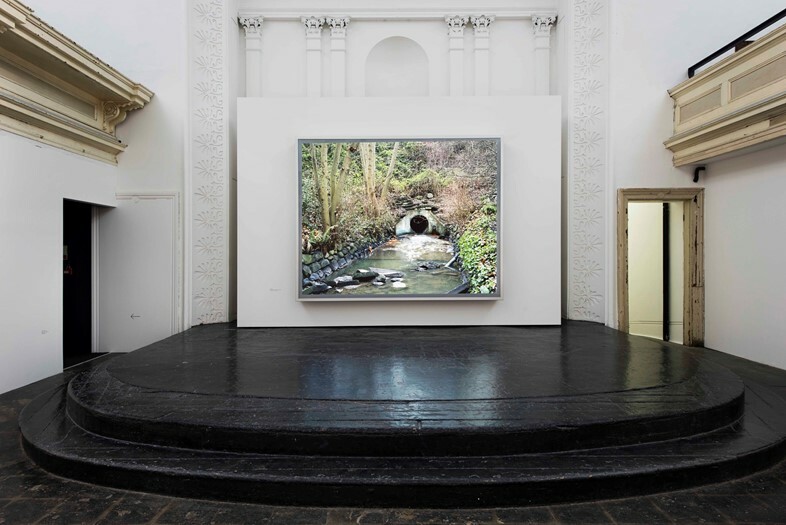 Installation view at Zabludowicz Collection. Photo: Thierry Bal. How does it differ curating a sole photography-based exhibition compared to curating mediums such as paint, installation or sculpture? Paul Luckraft: I would say it wasn't treated differently too much. I think what you bring with photography in terms of showing it in a gallery space is more it's conceptual familiarity. The fact most of us use and look at photography every day (makes it) a very democratic medium – I know that sounds a bit of a cliché, but it's true – it's everywhere. Photography feels closer to us or somehow more accessible – one of the key things was to accentuate the physical presence of the images. This generation of artists, certainly since the late 1970s, in very different ways, have all taken images out of the image world that circulates around us then appropriate it, shift it or re-photograph it and bring it into the gallery space. I guess we really wanted to make the works look as good as possible – give them really nice textured circumstances to existing. Also, in terms of the walk through the show, some of those connections between artists of different generations are suggested. What do you feel this particular space offers for the work that other galleries may not? Paul Luckraft: With this building, we tend to want to work with the space – not pretend it's something it isn't. It's an old ex-church building which has a certain texture and it's a listed building, so you can't change too much about it – our approach is quite artist-led. The history of this building has perhaps brought out something for the work – the show does look back quite a lot in a way. Not to say we should be obsessed by the past, but, certainly, photography has come so far so quickly and so much of photography was key in shaping what our identity is as consumers and citizens – it tells us about what's happening in the world. Photography’s been used throughout the 20th century to structure what modern life is and this idea of using a previous building which has been a church and a drama school – it's got traces of previous use. Which artworks stand out for you most? Paul Luckraft: What's been great is seeing someone like Thomas Ruff's work in person in the space – (it’s) fantastic. His Stoya piece from 1986, where it's a really unflinching portrait, and the face almost becomes an abstracted architecture – but, then, you feel you've got a connection to that person's life. It’s a very mysterious image in a way, even though it's very full-frontal and plain in its approach. Then you have Erin Shirreff's work, the Roden Crater video. Rather than going to the site and videoing it, she took a photograph off the Internet, printed it out, stuck it on a studio wall and shined lights on it for lighting effect. She then took a series of stills and stitched those together into an animation. Those lighting effects are actually a creation from a sense of physical presence within an object in a landscape, but all contained within a studio. There's a really interesting, subtle testing of real and false or fact and fiction in quite a less obvious way. I think across the show there are moments that are very stark and imposing, then there are moments that you somehow feel more allowed into the process of the photographs. What would you like viewers to take from this exhibition? Paul Luckraft: That viewers will reconsider the pace of looking, or being offered the chance to have a different experience with image and that slow construction. Looking is interesting – the physical encounter with images of different scales and materials is really key – and the fact images still have the power to affect us in different ways, be it in a joyful way or more sinister way. The show, hopefully, is a chance for people to spend some time up-close with a whole different range of images – a very different experience than how we encounter images more regularly. It's not a show of abstraction, it's a show of things that circulate around us that we know or encounter in person. Those things are perhaps reformatted, surprising or uncanny moments. You Are Looking at Something That Never Occurred is open to the public from today (30th March) at the Zabludowicz Collection.